It was fine saturday morning, I woke quite early today. I went to clean up myself and dress up. I’m thinking of reading some of the updated blog. 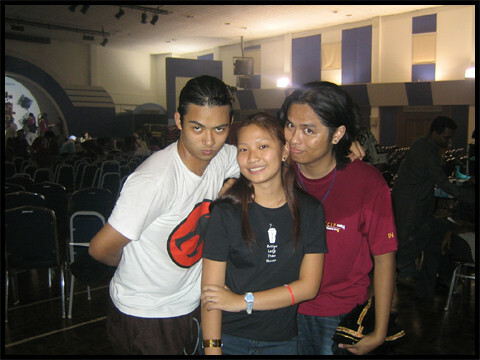 I accidentally stumble upon to Elayne’s Blog.. and found out that Aaron has been called by God on 28th January 2010. I cried as I heard the news, no wonder he no longer updating his blog months ago. He is a 21 years old and had a stroke. In a young age, he did survived this 3 years and yet fight and share about his pain through his blog. He is a good looking guy, plays music, and a very patient guy with his funny sense. Why good man always left us in the young age? Sad, but I hope he met my dad in heaven and enjoy laughing with their own jokes. I really hope that if I die, I will meet my dad again and told him that I missed him very much and hug him and never let go! I hope he never forget me when we met in the future. I will told all the people I know who already left us what is happening after they left us. Aaron Prabha – Sadly be missed and remembered.. If I wrongly provide about Aaron Prabha details.. Do let me know and I will correct it accordingly..
Eternal rest, grant unto him, O Lord, and let perpetual light shine upon him. May his soul of the faithful departed through the mercy of God rest in peace. ← What is a home without children? Only wen a person have passed away after being ill for a long time then others starts to come pouring in.They will start to reminisce good old memories,giving credits to each other,saying how much he meant to them.But whre were them when he was still able to listen,see,and talk to them when he lying sick on that bed?Where were them wen his mind was still aware and needed his friends to be there by his side the most?